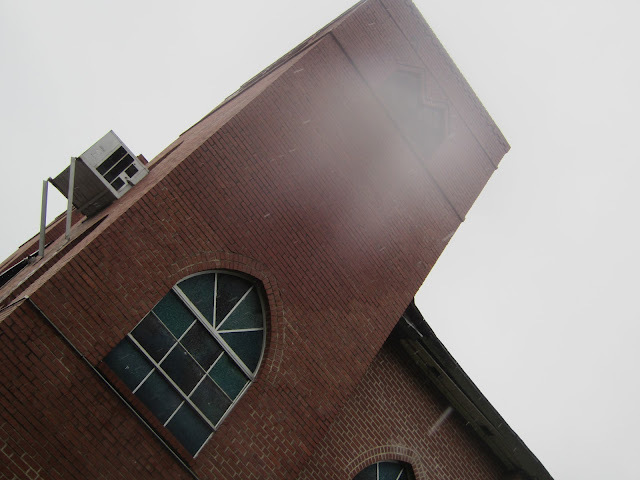 Lines of force from churches touch like halos of radiation. Mt. Pisgah radiates into Mt. Calvary. The mountain from which Moses first sees the Promised Land enters the place where the Romans murder Jesus. They did. Doubtless. Though Thomas Jefferson extracted the Resurrection. He cut out all supernatural accounts from the Gospels. Divinity not necessary. It was the Age of Reason. What then that our most intelligent president held slaves? Mt. Pisgah is gone and although Mt. Calvary (“Mt. Calvary Baptist Church / organized Mar. 15, 1896 / by Rev. E.D. Young / remodeled 1912 by / Rev. G.H.G. Dukes D.D. 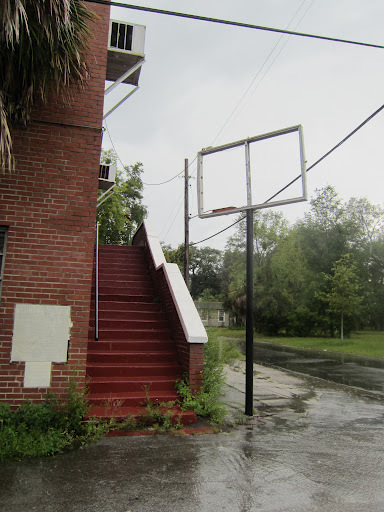 / Pastor”) likewise left the neighborhood of Brooklyn, its lovely corpse remains. 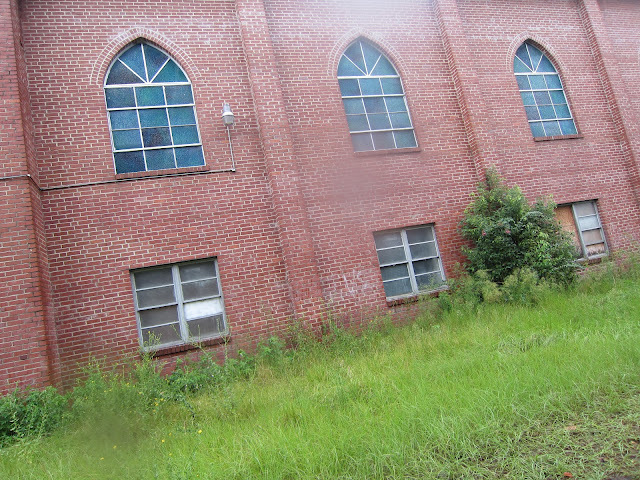 That is, the congregation may have moved elsewhere, but the building they left behind still stands, waiting to be reanimated. Come. Inhabit it. It’s good for another thousand years, though most everything around it has disappeared in the last 20. 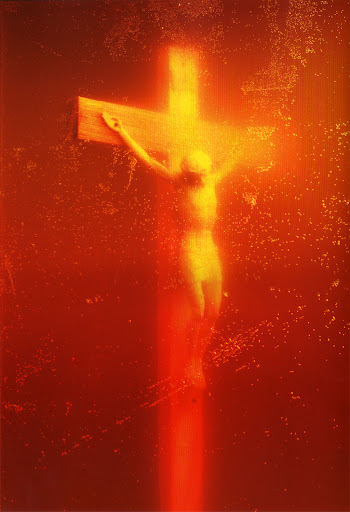 Andres Serrano’s Piss Christ, a photograph of a crucifix in a jar of piss, infuriated the religious and non-religious alike in 1987. They thought the urine defiled and blasphemed the icon. They didn’t seem to believe the icon was strong enough to conquer its medium. They didn’t believe a submerged Jesus powerful enough to glorify the piss. Does the bad defile the good, or the good redeem the bad? Their faith was small. Won’t someone come and resurrect the body of the old Mt. Calvary Baptist Church? It’s good for another and longer time. Have faith. If not the same faith. Jefferson extracted the Resurrection, but won’t someone come plant it back at Spruce and Dora Streets in Brooklyn? The Jefferson Bible is a scrapbook of cuttings Thomas Jefferson made from the Four Gospels. He wanted to create from the four accounts one chronology of Jesus’s life, but he also wanted to remove the supernatural aspects. He referred to the teachings as diamonds and the stories of the miracles as a dunghill. Nowhere in The Jefferson Bible is the verse, “Jesus Wept.” The most thunderously poignant part of the whole scrapbook is the removal of the Resurrection. The reader weeps. The reader mourns for Jesus, because Jesus is human, and without Resurrection, he really does die. Like us. He dies. And we love him. No matter what we believe. Jesus just dies. And we miss him terribly. O how terribly we miss him! “J. 19. 39 And there came also Nicodemus, which at the first came to Jesus by night and brought a mixture of myrrh and aloes, about an hundred pound weight. “41 Now, in the place where he was crucified, there was a garden; and in the garden a new sepulchre, wherein was never man yet laid. “42 There laid they Jesus. And that’s the way they left Mt. Calvary Baptist Church at Spruce and Dora Streets in Brooklyn. Reverend E.D. Young organized the church in 1896, but the church, like Jefferson’s Jesus, just died. 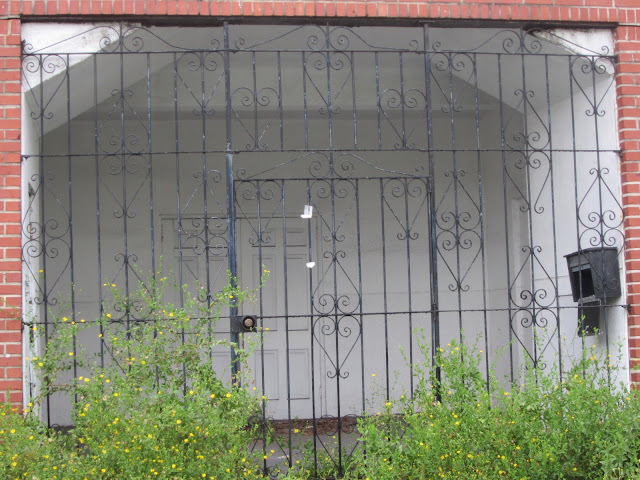 Its congregants locked the door. They left the church to the stray dogs. They departed.